The Tigray (Tigrigna) people are related to the Amhara and Tigre people of Ethiopia and Eritrea who together make up the Habeshans. These people can trace their origins back to Shem, eldest son of Noah. They left present day Yemen and settled on the African side of the Red Sea inhabiting the Nile Delta and all land East of the valley down to the Ethiopian Highlands. These people are known in antiquity as the Ancient Egyptians who retreated back to Ethiopia and Eritrea after countless takeovers of Egypt. Here they established other great kingdoms such as Sheba/Saba and Axum. After the Middle Ages they soon split into 3 tribes: Amhara, Tigre and Tigray with their own languages that all derived from Ge'ez, their ancient language. After a mass migration from Egypt, the Habeshans settled in the Ethiopian Highlands and Red Sea coast of present day Eritrea and North-Eastern Sudan. The Tigray live primarily in the Northern Highland of Ethiopia and the Southern plateau in Eritrea. The lives of the Tigray are much like the Highland Amharas. They are mainly farmers and pastoralists. In older times there were several large urban communities in the Tigray Region that flourished and created much Christian art in the Abyssinian middle ages. From early encounters with the Hebrew people, many Habeshans adopted the early form of proto-Judasim. Though the high and ruling class continued to practice the Egyptian pagan religion until Queen Makda of Sheba was converted by King Solomon to Judaism. Christianity came to the Tigray through Coptic missionaries. The Tigray and other Habeshans were the first African converts to Islam after sheltering Muhammad's followers in the holy city of Negash, located in the Tigray Region, from their enemies in Mecca. 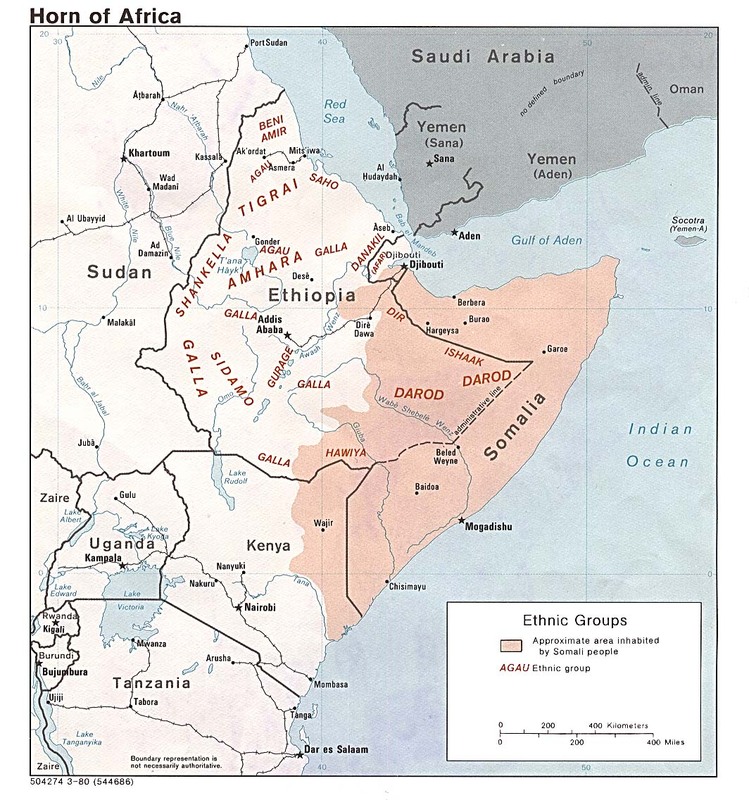 The converted Habeshans (especially Tigray Muslims) became known as the Jeberti (Elect of God). They became the religious leaders and university teachers in the powerful Islamic city of Zeila in NW Somalia. Because of the Islamic expansion, Aksum was cut from other Christian kingdoms which created their own unique form of Coptic Christianity by incorporating Judaistic rituals and laws and putting a large focus on monasticism. Today the majority of Tigray people are Ethiopian Orthodox and the minority are Sunni/Sufi Muslim. * Scripture Prayers for the Tigray, Tigrinya in Djibouti.